MSgt. 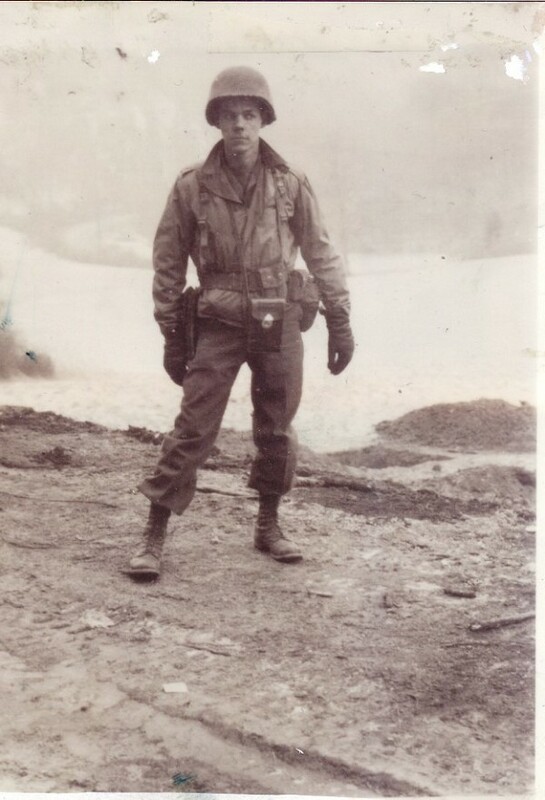 Kirk Timm in full battle dress at Normandy, after the U.S. troops had cleared the beaches. The late Kirk Timm wrote his memoirs of World War II and received the Legion of Merit medal from the French government in recent years. On this Memorial Day, 73 years after the Normandy landing by Allied troops, we may get a more accurate sense of the experiences -- and sacrifices -- of the Greatest Generation by perusing some of MSgt. Timm's recollections. "There are three events I shall remember as long as I live. "The very first took place on June 6, 1944, at 12:15 in the morning. "The Allied Invasion of Normandy France began. The numbers of people involved were staggering. Four thousand ships, eight hundred warships, eleven thousand aircraft and over three million soldiers. These figures sound incredible, but the actual cost of that battle was all too real and human. "We assaulted the beaches of Normandy and swarmed ashore. The fighting was unimaginable. The beach sequences in the movie "Saving Private Ryan" only begin to tell what hell was like on Omaha Beach. There is no way I or anyone could describe what it was like there. While mentioning the film Private Ryan, it is actually uncanny how the full content of the "Band of Brothers" fit my own personal experiences in the service to a tee. "The second took place on 16 December 1944 called the "Battle of the Bulge." On December 7th Pearl Harbor caught us with our pants down, but on December 16, 1944. About 250,000 of Germany's best troops struck in the Ardenne Forest. It was said that Hitler somehow knew this was his best and perhaps last chance to halt the allied forces. He ordered everyone in the German command including the crippled Luftwaffe to be under the direction of his favorite leader, General Von Rundstadt. Again, as it was at Pearl, this was a surprise attack. "Everything is at stake," Hitler said and he was right. This action was a tribute to German efficiency. Also, very lucky. Very, very lucky. "We were in Luxemburg at the time, "holding" on the Elbe River "Rest & Recuperating." We were not too far from Bastogne and were headed there. The British were in the North, Bradley the South and Patton with his 3rd Army ready to make a "grandstand play" again. The cold and snow were of epic proportion. Their artillery was zeroed in on us in each segment. We were good. But as the weather cleared, we became "better." "The third took place on September 14, 1946. This event was in East Tawas, Michigan. On that day, the luckiest day of my life, I married Ardath LaBerge. As each day passes I realize just how fortunate I was to find this very sweet and lovely girl who agreed to become Mrs. Kirk Timm." "Crowded in all of the ships, planes, and gliders too, were 3 million soldiers, sailors, and airmen. All these details seemingly incredible but the cost of the battle was very real and human. I, along with my buddies were incapable of comprehending what was happening except right in the area within eyesight. "The naval guns were firing from a few miles offshore, the fighters and bombers bombing the beaches, strafing at the beach fortifications until the allied forces swarmed ashore. The initial assaults were fierce, relentless and unimaginable." "I noticed as I came down the LCI ramp that the water had a slight tinge of red, almost a rose color. As we progressed toward the beach the rose color intensified and as we came closer to the edge of the water/sand I realized that these colors I was seeing were the effect of blood. Then there were GI bodies and body parts strewn up and down the edge of the waterline. I really hadn't thought about that scene again, until now. When we got on the sand, I remember I was relieved that I had made it to land. Little did I realize that the worst was yet to come." "It was difficult to describe now what we did and how we felt then. We quickly learned to hate the Germans, but that gave way to plain fear. We attacked every day for 23 straight days from dawn to dark. Attack, then a counter attack. We beat off the counterattacks and moved forward. We became exhausted, both physically and mentally. We lost a lot of our closest friends. Reinforcements became veterans in a few hours if they lasted. "We started off the LCI with about 230 souls all from company B, 330th Infantry. Later on that night when we re-grouped if I remember correctly there were 18 of us standing." "Our opposition was battle hardened SS veterans and we were rookies. It is amazing we weren't thrown back into the sea that day. The SS German troops knew how to fight and they did -- but we did too. As Infantrymen, we were trained to kill, but I guess I didn't realize that until we were on the beaches and that was the reason we were there. About that time, I realized why we were there and for what purpose. That afternoon, we stopped being boys and became combat soldiers. "We started to march down an entrance road to the buildings and all of a sudden we came under fire (all small arms) from the building right in front of us. We returned that fire which seemed to be coming from the windows on the both floors of the house. The rate of the return fire was spasmodic and not too well timed. It became obvious that the shooters were not too accurate and as well, they exposed themselves when they took positions in the window frames. After we discussed this we resorted to sniper tactics and that worked pretty well. Soon we realized that we were no longer being fired at and in a matter of a few minutes, German soldiers started to appear in the front door with their hands up in the air obviously surrendering. We were surprised at this, but happy that our first firefight had such successful results." "Newspapers called it the "Breakthrough", the "Ardennes" and the "Bulge," but on the line we didn't describe it in such polite terms. We called it the foul, vile things that it really was. It was not only fighting an enemy that was really jubilant with their new found victories, but we had to fight the other enemy as well: "Valley Forge edition of 1945." Clothing froze on our bodies, weapons failed to function. Our feet turned black and purple from trench foot. Any wound was very serious. If you fell, you froze. The only covering for the dead was a blanket of snow. Real blankets were for the living. "My battalion was assigned the town of Bihain, Belgium. After about twenty hours of hand to hand combat with a very stubborn group, we killed most of them but took a few prisoners. Then came a heavy infantry/tank counter attack the next morning. It was a fight all of the time. Fighting a fanatical enemy..fighting the devastating cold -- fighting the tiredness and the fatigue that comes after days of days of continuous combat.. Again, we complained, swore, and we cried but we accomplished our objective." EDITOR'S NOTE: MSgt. 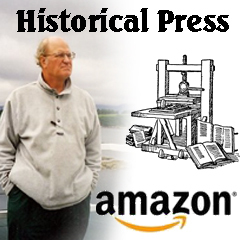 Timm's war memoirs were compiled in a book edited by myself and my wife, M. Dolores Barron-Rogers. It is available at the Wirt Library. Nice article Dave. I met Kirk Timm several times as he was a contemporary of my father-in-law. He was an interesting guy, but we never talked to me about his service. I'll have to seek out this book. Thanks.